Manisha even though I live here. In the midst of these tempting food galis smelling delicious I have rarely given in to the temptation. Most of these places are so filthy and in Mumbai many times they are above the sewer. Here in Blr. my friend took me to VV puram's food street, as food blogger I wanted to check it out but for a week after the eating out there I had nightmares of falling sick fortunately I didn't. Good thing you avoided it! I eat if it is fried or boiling; and I hope to always live to tell the tale. These are not pani poori. 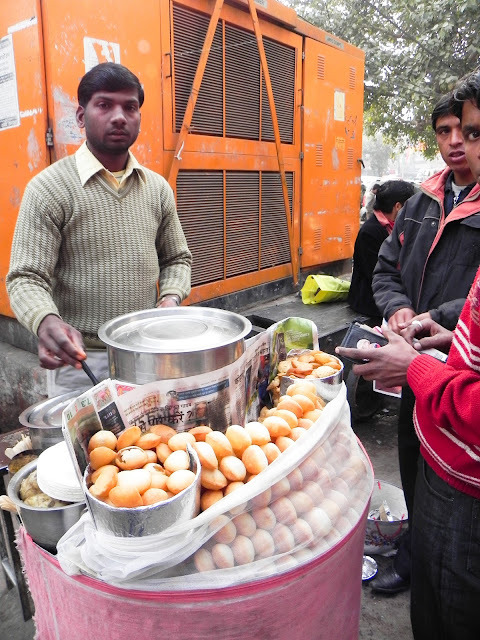 They are the original thing - gol gappe - invented by the Mughal cooks to deal with exactly what you are worrying about! Apparently the acid (tamarind) and the main spice (chilli) creates a medium in which bacteria find it hard to survive...it tastes great so I am not complaining. LOL! Anita I do make exception though rarely and narrate it for posterity that I too did it and survived! :P Blush blush. 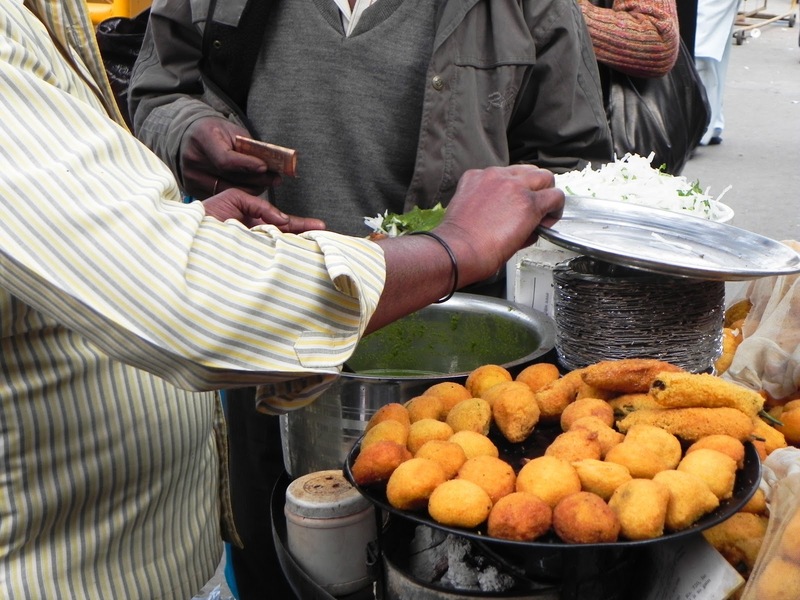 Once as a kid I ate Ragda pattice in Khaoo galli and I had looseies and was so dehydrated almost borderig to typhoid that I still don't dare that much. 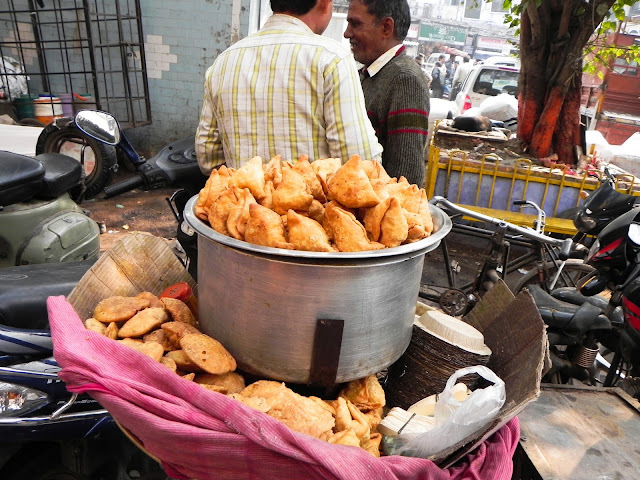 Plus did you see the Pani puri wala citizen journalist episode. Gross!!!!!! 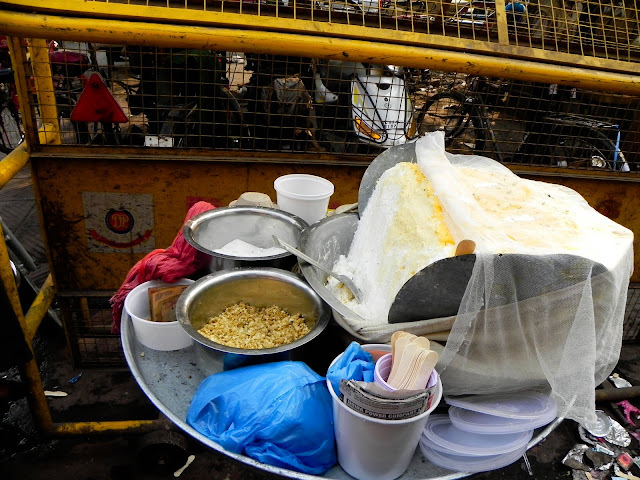 Anjali, the food carts we used to frequent in Bombay were "reasonably clean and hygienic" and I never ate off the ones that sat atop open sewers. 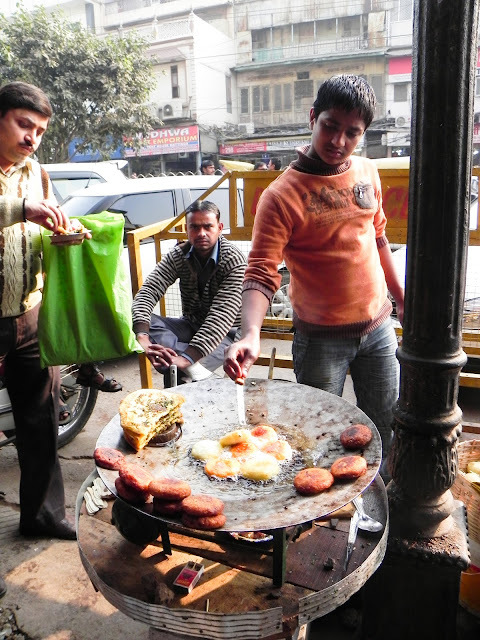 There used to be a batata-vada-wala who used to peel his potatoes while sitting on a plank of wood that straddled the sewer. He used to have the longest lines but I never joined them. Like you, I also wonder about the oil that is re-used over and over... But I'm glad you let your hair down and had some fun in Bangalore! Anita, oooh! I know how to push 'em buttons, don't I?! 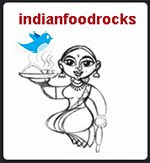 So, are you saying that the Mughal cooks did a Steve Jobs on Mumbai's pani puri? You know, stole the idea, gave it another name and called it their own? Hmmm, but wait! Miri says they aren't anywhere as good as the real pani puri. So, maybe that's a bad analogy! notyet100, you have a stomach of steel! 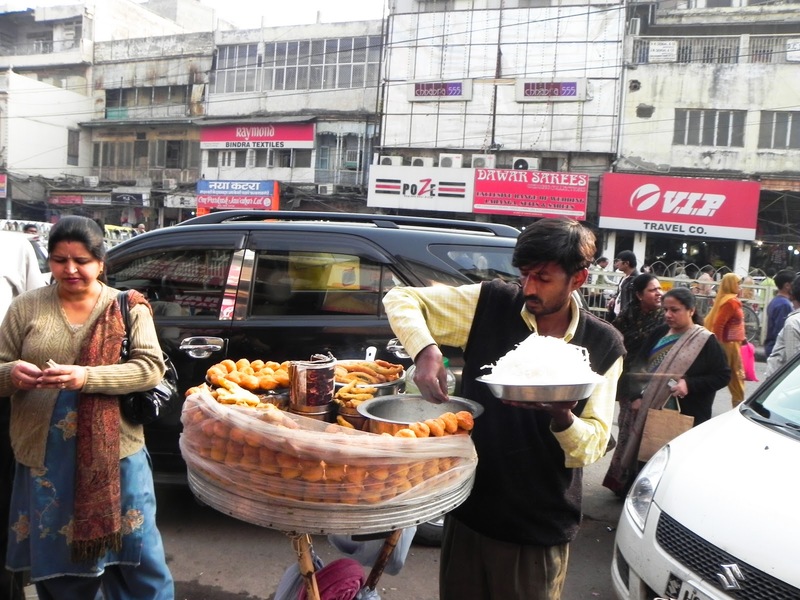 Yes, Chandni Chowk is a very interesting place! 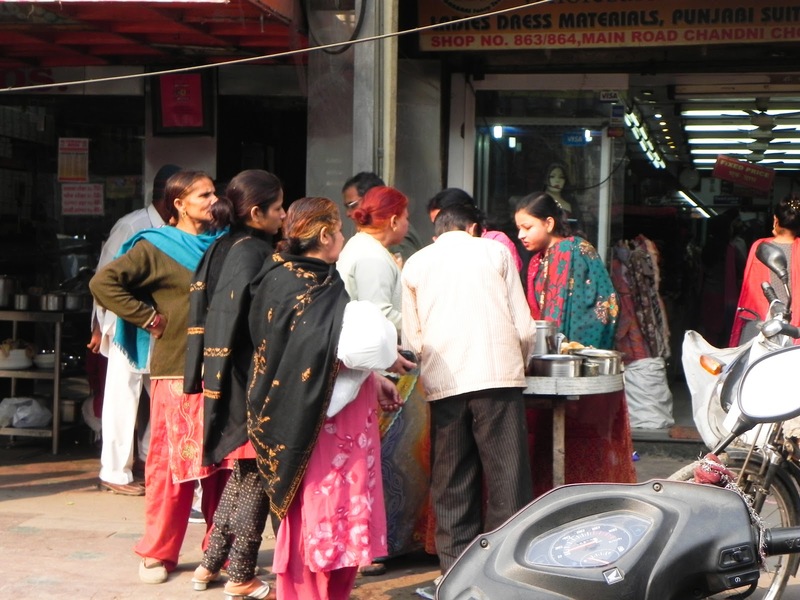 I absolutely miss being in India this time of the year. 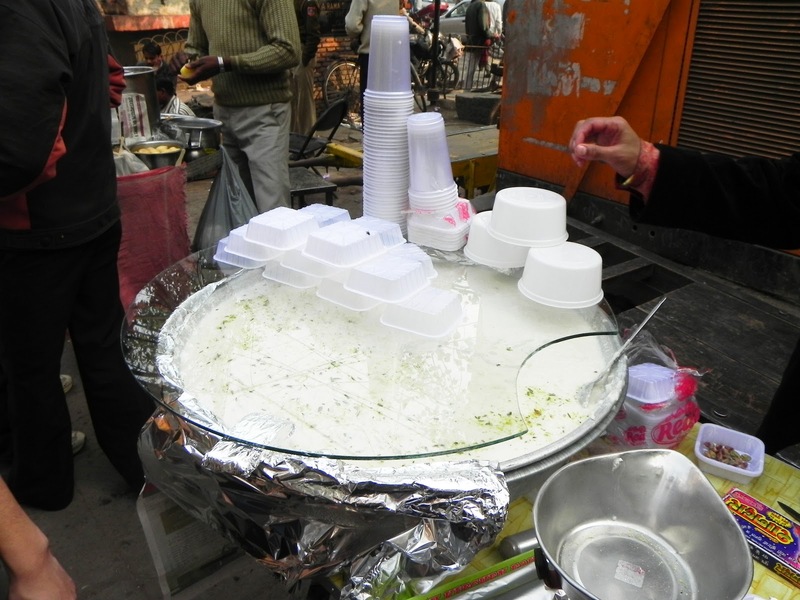 I would my aunt in Delhi every winter and a lot of eating and shopping entailed!!! I fall sick, pop my entroquinols, wreathe in pain, spend half of the day in you-know-where, recuperate and eat again. I have TO eat at least two of those "phuchkas" before I take off. And so that IS "Daulat ki Chaat" ? I am still vague-o about it..what foam ?